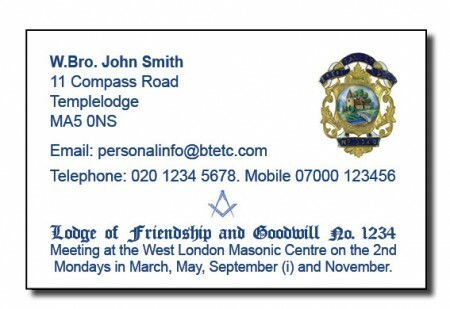 Masonic Lodge Contact & Meeting Dates Cards. Personalised to your Lodge as required. Standard Business Card size 86mmx55mm. To view prices select the quantity / choose an option box. Remember all our prices include vat and delivery to a UK mainland address.